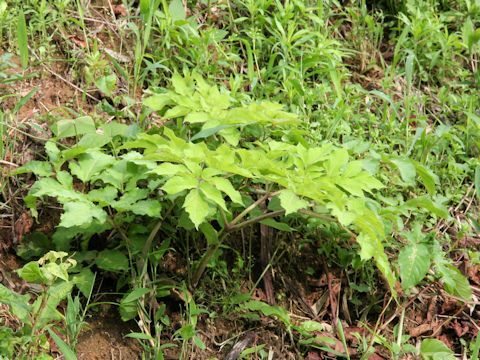 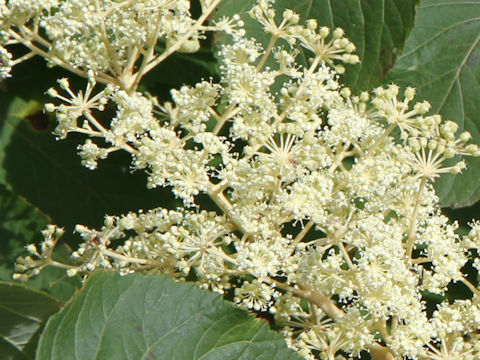 Udo (Aralia cordata) belongs to the Araliaceae (the Ginseng family). 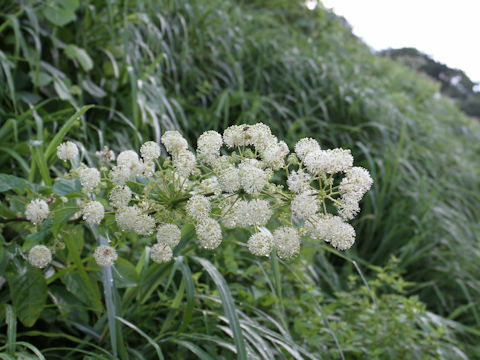 It is a perennial herb that is distributed throughout Japan, as well as the Korean Peninsula and China. 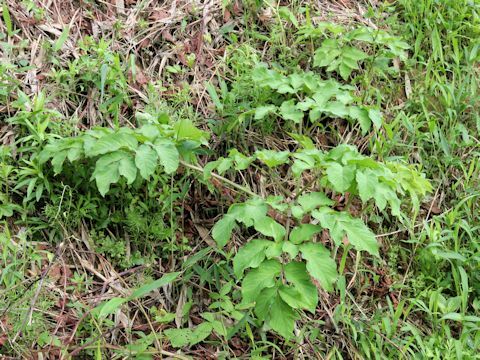 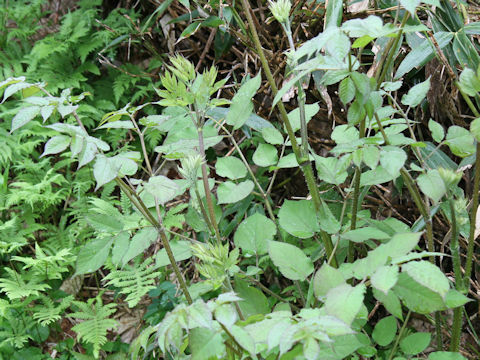 This herb grows commonly in mountains and fields, and can reach about 2 m in height. 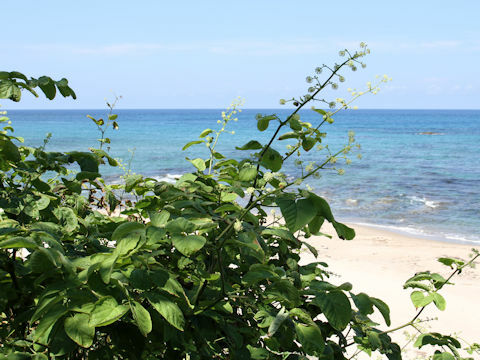 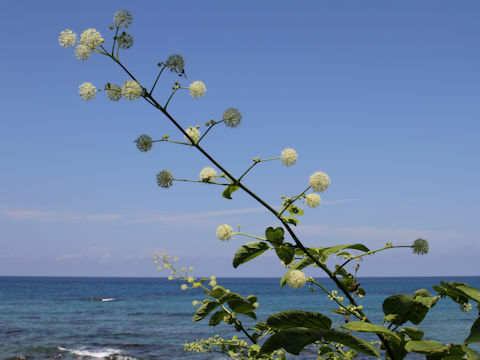 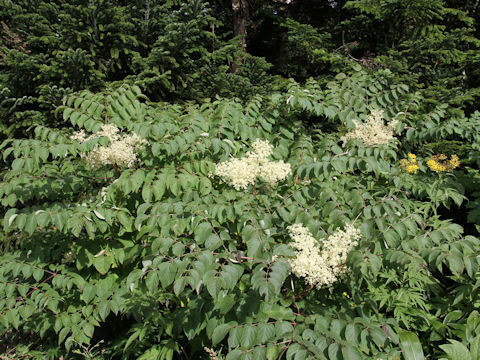 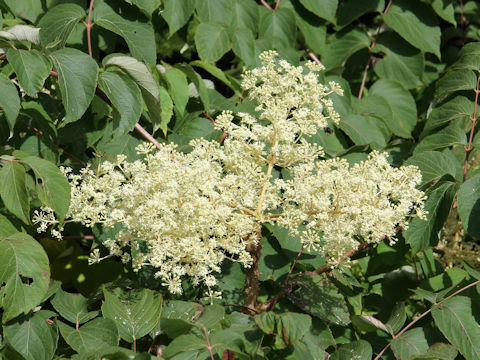 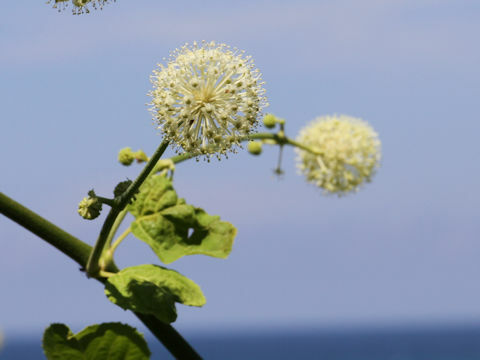 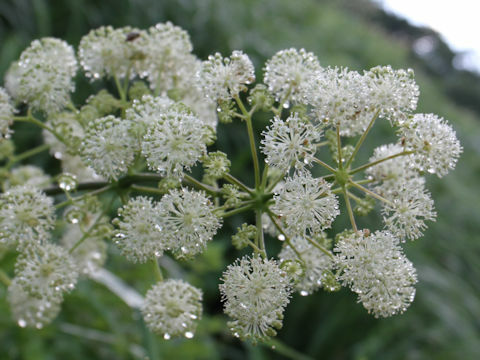 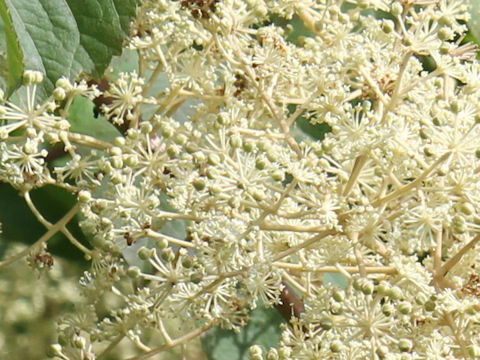 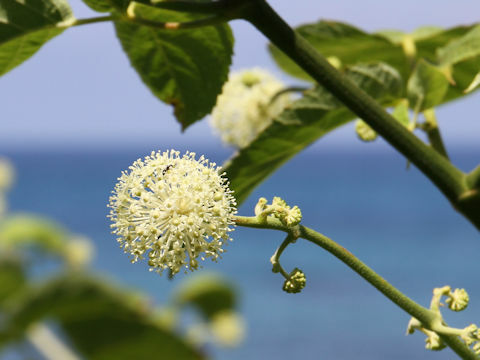 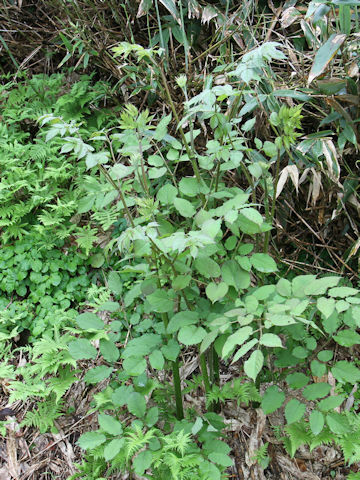 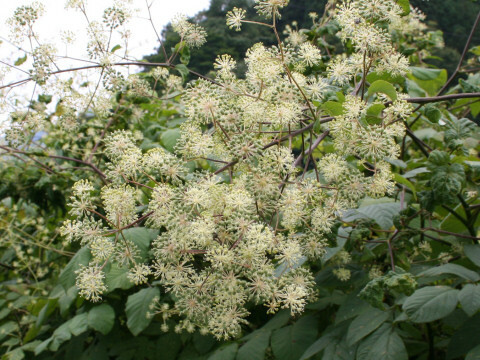 It is related to the Hercules club (Aralia elata), though it is not a woody plant. 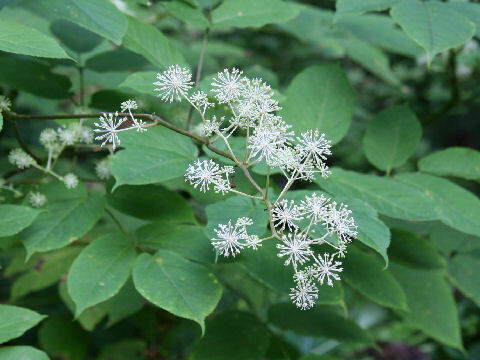 The leaves are bipinnate compound with fine hairs and serrated edges. 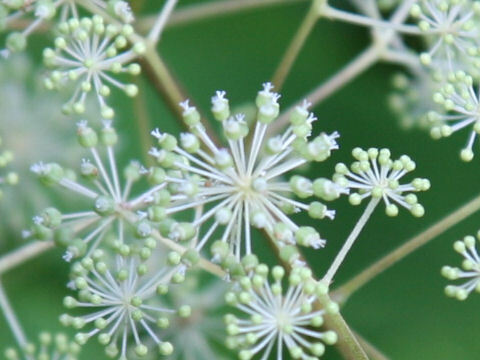 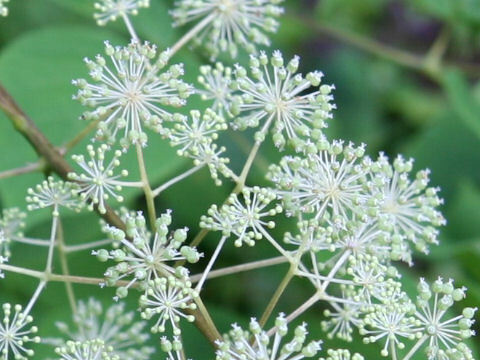 The small pale green flowers bloom in the spherical clusters from August to September. 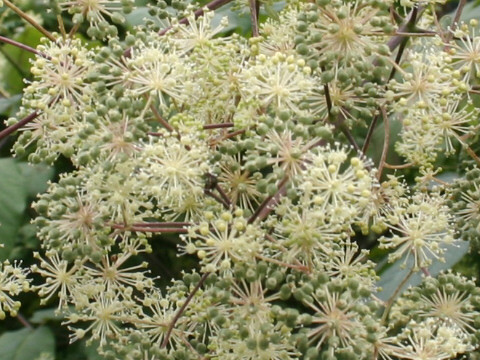 The white udo is a dark-grown cultivated crop.